Protective skincare with SPF 30 UVA+UVB for throughout the day. It’s absorbed quickly by the skin, leaving it feeling pleasant. The combination of active ingredients, consisting of grape stem cells and SPF 30 UVA+UVB, protects even the most sensitive skin. 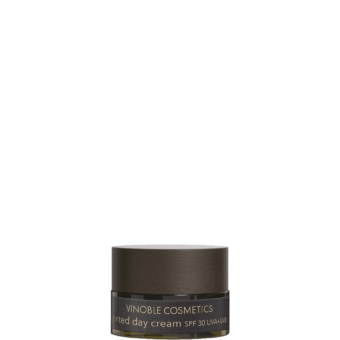 Promotes skin’s regeneration and softens pigmentation spots. Fragrance-free. Apply to skin in the morning after cleansing. Keep reapplying throughout the day if necessary. Avoid contact with clothing, as can cause permanent discoloration.